Für die Jehkotar Card Challenge hab ich meinen WoJ Hofnarr eingeweiht. Oben das Spruchteil ist übrigens von den Farben verfälscht, das ist nicht rostrot untendrunter, sondern orange, wie die Punkte auf dem HG-Papier. 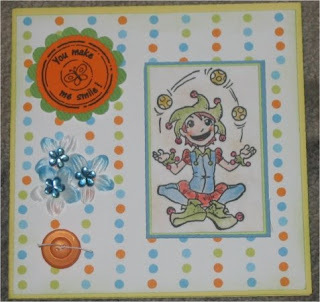 For the Jehkotar Card Challenge I used for the 1st time my WoJ Jester Stamp. 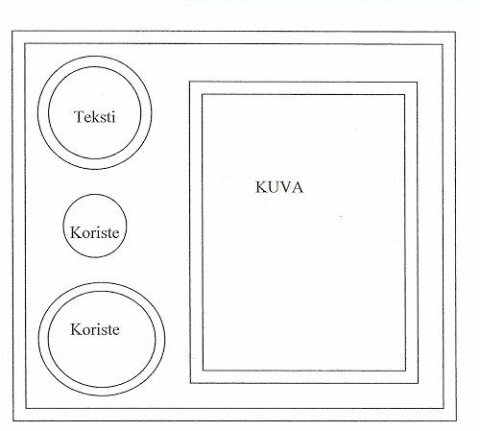 The little thing with the sentiment is not such a red-brown color as it seems to be, but it is orange just as the dots on the PP. Beautiful card. Fine colours and layout is lovely. How cute is he, Heimar, love him. and your colours are great! Thanks for playing and have a nice weekeng! !